What to Expect from LazerLift®? In the past, facial rejuvenation traditionally involved a long, invasive procedure, requiring extended downtime, bruises, and swelling. 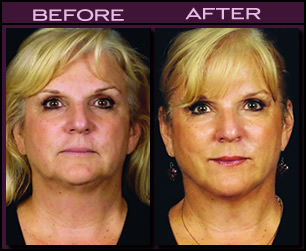 Now, thanks to precise laser facelift technology, patients can enjoy a minimally-invasive solution to aging: LazerLift®! 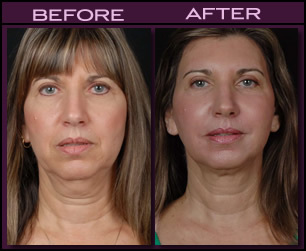 This revolutionary procedure tightens and lifts the lower face, smooths wrinkles, and can replenish the youthful curve to the neck. Patients can reduce the signs of aging with LazerLift®, the no scalpel, no stitches, and no scars solution to looking younger without the risks, costs, or recovery of the traditional facelift. 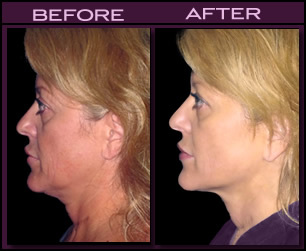 Facial aging is often most noticeable in sagging jawlines, jowls, wrinkles, and fine lines. As skin loses elasticity, fat pads slip from their youthful position, and supporting tissues begin to droop, physical signs of aging will visibly worsen. LazerLift® can address all of these facial signs of aging, so patients can enjoy all of the benefits of a traditional facelift without any of the risks or downtime associates with a long, invasive procedure. In addition to treating visible signs of aging, LazerLift® can lift and tighten long after the procedure itself is over, allowing patients to achieve a younger-looking physical appearance even as they chronologically age! *Patients individual results may vary. Patients often worry about the longevity of results following procedures that are minimally-invasive, mistakenly thinking that just because a procedure is invasive, it will produce longer-lasting results. The precision technology that LazerLift® offers can produce lasting results for 5 to 10 years following treatment! * Speak to the LazerLift® Physician nearest you to learn more about this innovative procedure. © 2019 LazerLift® LLC., All rights reserved. *Disclaimer: The information contained on this website is intended to be purely educational in nature and does not create a physician-patient relationship with LazerLift® LLC., its physicians, or any agent, servant or employee thereof. By no means should the information contained in this website be considered as a substitute for consultation with a qualified physician and it does not constitute a second opinion. This website and its contents do not represent or claim to provide the information needed for a patient to give his or her informed consent to any surgical procedure or are a reflection of individual patient results, as they may vary patient to patient. Individual results will vary and no guaranteed result is stated or implied by any photo use or any statement, testimonial, or video on this website. The results depicted in “before” and “after” pictures and stated by any “patient testimonial” illustrate results you may or may not achieve if you choose to have a cosmetic surgery procedure. Individual results may vary by patient.